SILICON VILLAGE: LeEco Brings Boundary-Breaking Ecosystem Model to the U.S.
LeEco, global internet and ecosystem conglomerate has officially launched its disruptive ecosystem model in the U.S. 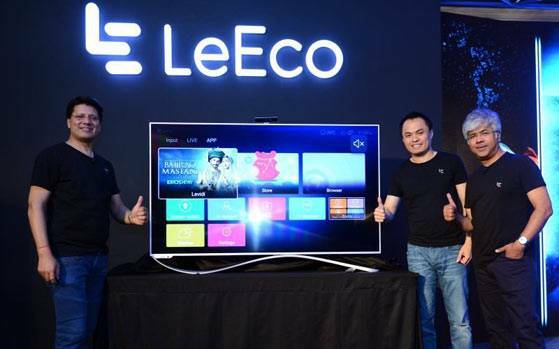 Through this LeEco has broken the boundaries between screens to seamlessly deliver content and services on a wide array of connected smart devices – including smartphones, TVs, smart bikes, virtual reality and electric self-driving vehicles. Premium Devices with Disruptive Value: To provide an enhanced value for our users, LeEco hascreatedEcoPass that brings together various high-value benefits. Ecophones: The next-generation of smartphones that put content front-and-center to deliver the ultimate entertainment experience. With eui, the Le and LIVE apps offer a line-up of content including a dynamic preview display, and a 3x3 mosaic of streaming content. With eui, ecophone users can access LeView, a “minus one screen” experience that puts tailored content, customized to your viewing preferences, just one swipe away from the home screen. With eui, content is always only one click away.LeEco will launch two ecophonesin the U.S. that will begin selling at www.lemall.com on Nov. 2. Le Pro3 is LeEco’s flagshipecophone that combines beautiful design, powerful performance and a unique way to consume content. With a 5.5-inch screen and sleek design, the Le Pro3 features fine, brushed metal backing and a tough Corning Gorilla Glass screen with 2.5D curved edges for a smooth finish. The Le Pro3 sports premium audio features, including dual speakers, surround sound powered by Dolby Atmos and Continual Digital Lossless Audio (CDLA) technology. The Le Pro3 offers incredible, long-lasting performance thanks to a powerful Qualcomm Snapdragon 821 processor and a category leading 4070mAh battery. The Le Pro3 also features a 16 MP rear-facing camera for vivid photos, panoramas and videos in 4K; and an 8 MP front-facing camera perfect for capturing selfies. The Le Pro3 comes in gold and gray, and will sell for $399. It also includes a 3-month free EcoPass membership. Le S3 raises the stakes with best-in-category audio, processor, and front and back cameras. Beautifully designed with an elegant, all-metal unibodyand a 5.5-inch screen, the Le S3 doesn’t cut any corners on what matters most. Featuring a Qualcomm Snapdragon 652 processor, the Le S3 delivers unrivaled performance for its category. It also over-delivers on the camera with a 16 MP main and an 8 MP selfie camera, which can be activated with the highly responsive and intelligent fingerprint scanner. The Le S3 combines the power of CDLA and Dolby Atmos with in-box Type-C CDLA earphones for the ultimate audio experience. The Le S3 is available in gold, gray and rose gold for $249, and includes a 3-month EcoPass membership. EcoTVs: Ranging in screen sizes, LeEco’s TV’s are one of China’s leading smart TV brands, selling more than 7 million units over the past three years. The ultimate experience in home cinema, the uMax85 boasts a huge 85-inch display housed in a slim industrial design packed with superior technology features including industry-leading Full Array, 448 Active Local Dimming Zones, HDR, Dolby Vision, Fluid Motion 1920 Display Technology and Harmon Kardon Audio. The uMax85 will be available on Nov. 2 at www.lemall.com for $4,999 and comes with a 12-month free EcoPass membership.